At Baywood we believe in the power of design to enrich the lives of those who live in our homes and neighborhoods. Our passion and commitment is to focus that power on a new home for you. 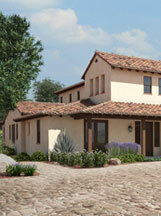 Based in Orange County, Baywood has been a home builder for over 35 years in Southern California. We pride ourselves on building quality homes; and yes, we have won many awards. That said, our true satisfaction comes when we share your delight and excitement on experiencing a Baywood home for the first time. Our homes are truly unique and we believe you will appreciate the functionality and aesthetics of our designs; but, as they say, "The proof is in the pudding," so please pay us a visit and see for yourself. Trust us - you will be glad you did. just west of Cook’s Corners. © 2019 Baywood Development Group, All Rights Reserved. Website by garden of e.